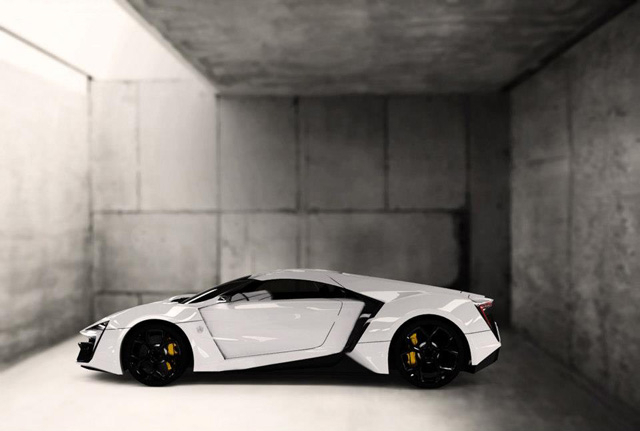 W motors, a Lebanese motor company funded by the Lebanese entrepreneur Ralph R Dabbas, has in Qatar Motorshow in 2013, the car that will be the third most expensive car in the world, the Lykan Hypersport. The most expensive car in the world is the Maybach Exelero, 8 million $, second to it is the Lamborghini Venevo, 4.5 million $ and the third is the Laykan a 3.4 million $ hypercar. This high price, comes from all the luxurious features in the car, its headlights encrusted with 420 15 cts diamonds, and fine gold lines in the seats. Also, the dashboard is a complete holographic 3D dashboard. 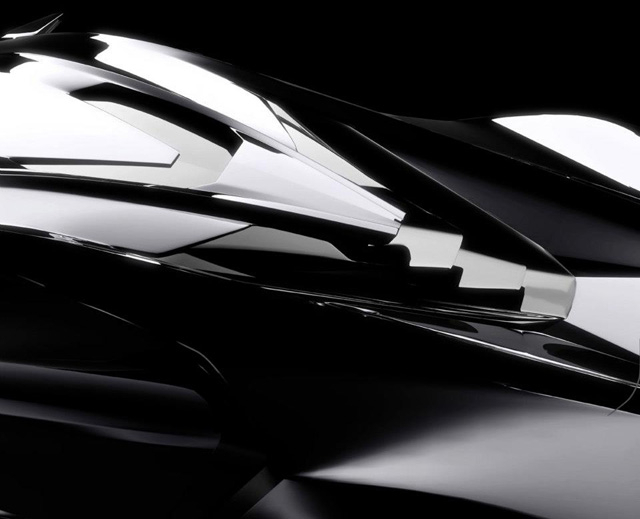 The chassis, all in carbon fiber, was made by the Austrian manufacturer Magna Steyr. And the car had the luxurious treatment from the German automotive constructor RUF Automobile, an impressive power unit in the form of a 3.7L flat 6 engine, that delivers thanks to the twin turbos a mesmerizing 740 bhp, and 960 Nm of torque. 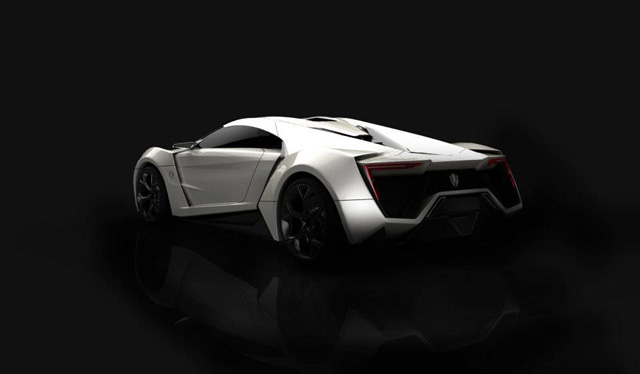 As a result, the car goes from nothing to 100 kph in 2.8 seconds and 0 to 200 in 9.4 seconds. It is expected to reach a top speed of 385 kph. The power is delivered to the rear wheels via two gearbox options, a 6-speed sequential or a 7-speed double-clutch automatic with a limited slip differential to prevent any excessive power from being allocated to one wheel, therefore keeping both wheels in powered rotation. The car will have anti-roll bars both in front and rear. It is fitted also with performance brakes : 6 pistons pistons aluminium mono-bloc calipers, and ceramic disks, ABS, ASR, ABD, and traction control. In the interior, a client will enjoy having all of this, dual-stage passenger/driver airbags, heated rear screen, automatic temperature control, Trio computer, Bluetooth Telephone, Satellite Nav, Rear view camera, 3G internet router, Remote control central door locking, tracking device, LED ambient lighting, 9″ holographic Mid-Air display with interactive motion, Gesture recognition, Premium sound system, Integrated hard drive and customizable digital dashboard. Not luxurious enough? when buying the car, the clients will have the pleasure of having a limited edition 200k$ Cyrus Klepcy watch. Only 7 exemplary were made though.